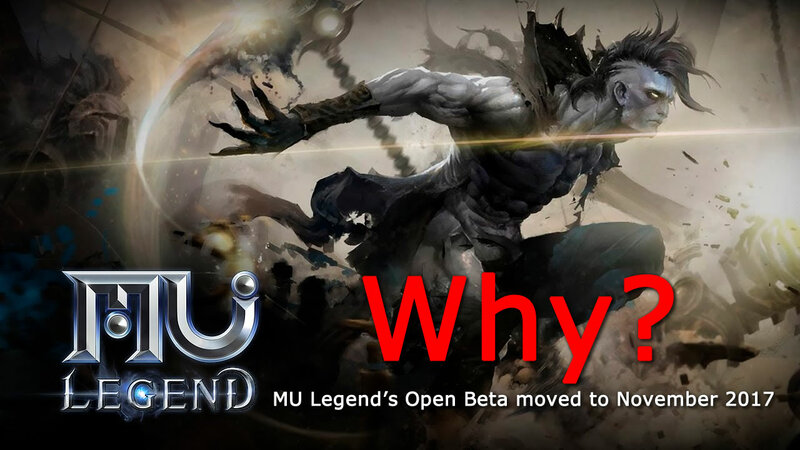 learned that the news, We Mu fans mood is very poor, but we also still hope that the official can launch a better MU Legend game. I don't want to say complaining talk, we come to see how they explain, hope to see these you will continue to wait, after all, we are all MU legend fans and waiting more years. "By Kundun! Three more months… why?" With the MU Legend global version, we are in the fortunate situation that our Korean version of the game is already live. This means we have had enough time to take into account essential feedback from players of the Korean version. Thus, our careful analysis brought us to the logical conclusion that we would need to re-arrange a few features and balances, and adjust our release roadmap. These changes regarding the initial plan came with additional localization tasks for the game, naturally involving all of our 6 language versions, which are essential in providing our worldwide fans with a high-quality gaming experience. "Well… Why not open the gates of the CBT2 version and patch the content gradually?" We could, but… along with the extra content, these required changes (derived from the feedback of the Korean users and the developers themselves) also impact mechanics balancing, and we do not want to simply postpone the fixing of current known issues that we are able to fix for the OBT version of the game. And as stipulated above, the changes involve deep localization work, an aspect of the game for which we have always set a high standard. Indeed, we received a lot of praise regarding the high quality of our localization during the CBT phases. This naturally made us very happy and confirmed to us that the path we had chosen, to give the utmost attention to all qualitative aspects of the game, was the right one. Localization takes time. Great localization takes even longer: Our translation team is not simply made up of "general translators", but experts in the code and language of the gaming industry. "'November' kind of sounds like 'In September', or worse… 'Soon'." We truly love our game, and our whole team has put so much effort into making the world of MU Legend the best it can be. With this in mind, we prefer to continue our commitment to quality instead of rushing the remaining development work, which would risk watering down the overall gaming experience that MU Legend will offer. We are committed to this "November" announcement, and we will make all the necessary efforts to bring the OBT to players at that time. We recommend the site(http://mmofallout.com/giveaway-mu-legend-2nd-beta/) below, they do not need to register, click the news button in the test code can be obtained, it is very convenient, if you want to please, they do not have much test code.